Have you ever had those nights when you just can’t get to sleep? I have!! What do I do… I count. Not count sheep, I don’t picture them, I just count. 1, 2, 3, 4, 5, 6 and so on. What do I do when I hit 100? I start all over again. 101, 102 is just to hard so I’ll go through the numbers again. What happens if that doesn’t work, I’ll go backwards. Eventually I must wear my brain out or something because I’ll wake up the next morning. 2. We did go and tour our reception hall though. I learned some great oddities about it. 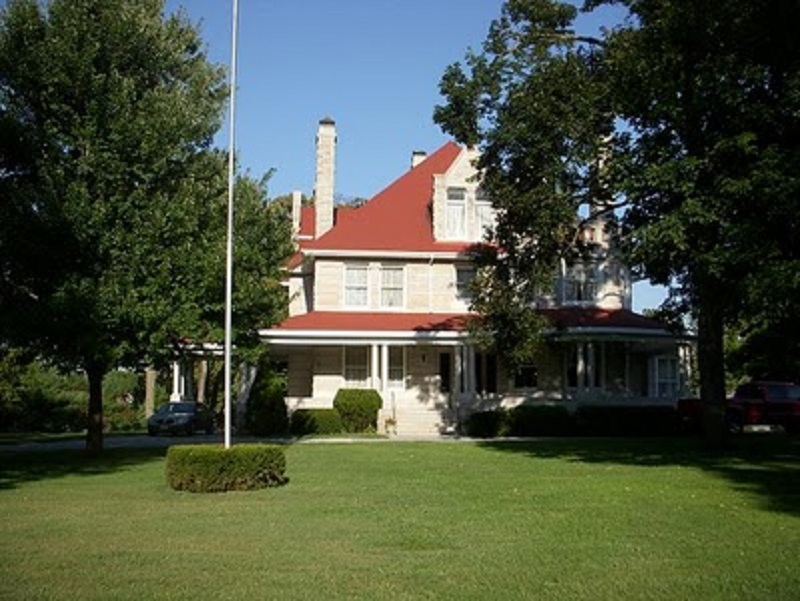 It was built for a wealthy family here in the area, but he also kept a house in St. Louis. 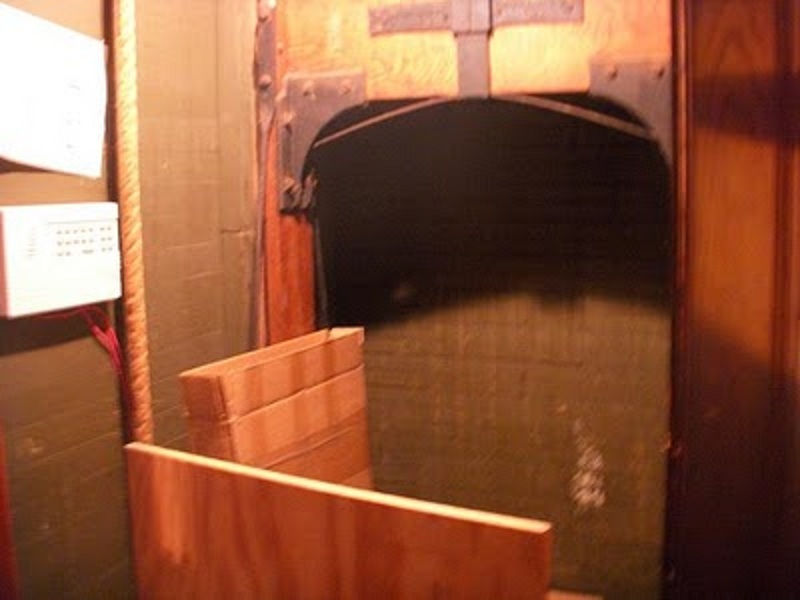 It had a dumbbell elevator in it. 3. I went to bed around 8pm last night, I was just not having a good night. 4. I woke up at midnight, took out my contacts, brushed my teeth and took a shower. Then attempted to go to bed. That’s when I started counting. 5. So I started writing a blog post in my sleep. 6. Really can’t tell you a whole lot about what that blogpost said today. 7. Speaking of today I think it is Wednesday but I never can remember… OY! It’s even worse when I’m on vacation! 8. We are making homemade mints for the wedding. We’re trying to decide if made this weekend if we can freeze them for a month for the wedding. Do you know? 9. I plan on doing a post about our reception hall. 10. My highlights from last October are growing out… my hair is coming back in dark brown. 11. It’s still my turn in the fiance and my SHMILY game. 12. I truly love doing floral arrangements. 13. That was totally random to you but not in my head. I was thinking about the wedding :). 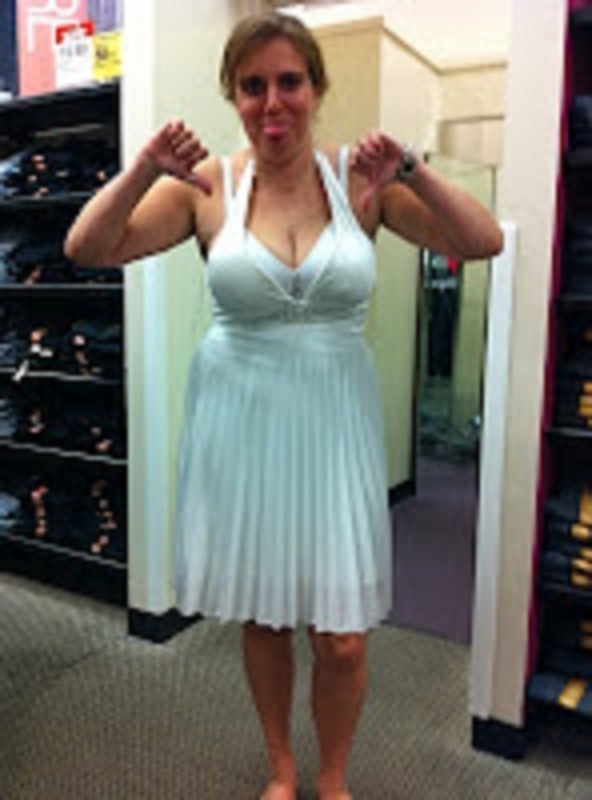 Don’t hold this photo against me, I loved the dress until I got it on… It didn’t look so hot on and I shouldn’t share but the look on my face cracked us all up…. and yes I made it a small pic… it’s that bad! 15. I still have no idea what I’ll do for my hair for the wedding. 17. I have ideas for the BM’s but I think the MOH’s hair might be to short for my idea, I can’t remember. 18. Oh well I guess they don’t have to be the same. 20. 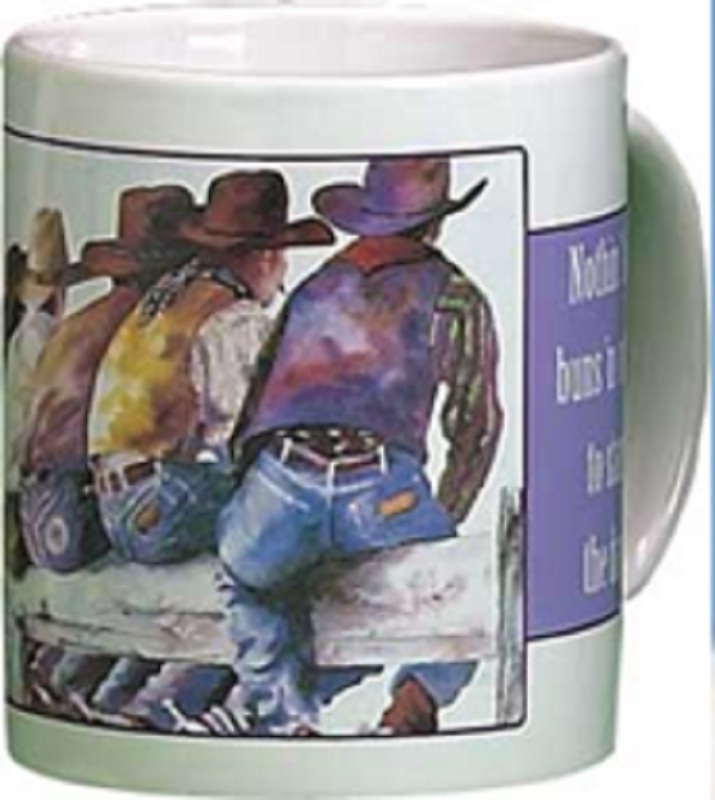 My coffee mug on my desk is by Leanin’ Tree and it is a bunch of cowboys sitting on a fence with the saying “Nothin’ like buns ‘n coffee to start the day!” And I don’t even drink coffee. 21. Right now it has hot chocolate stains in it. I should probably wash it! 24. My toenails are still flags. I really am going to have to re-do them though because my toenails are growing out. Hopefully you are having a wonderful (I think) Hump Day Wednesday. My feet are cold so that is making my knees hurt. Fun fact about my knees, it can be 110 degrees in the shade and if my knees get cold they hurt and you can feel how cold they are even through jeans. See why I don’t like winter? WILW: Sometimes it's fun to play along!! Love the mug! I only like frozen coffee! Hey, If you want your hair long and down just get extentions. My daughter went to a place bought some hair and clips and I sewed the clips on and the hair dresser strategically place them and voila! 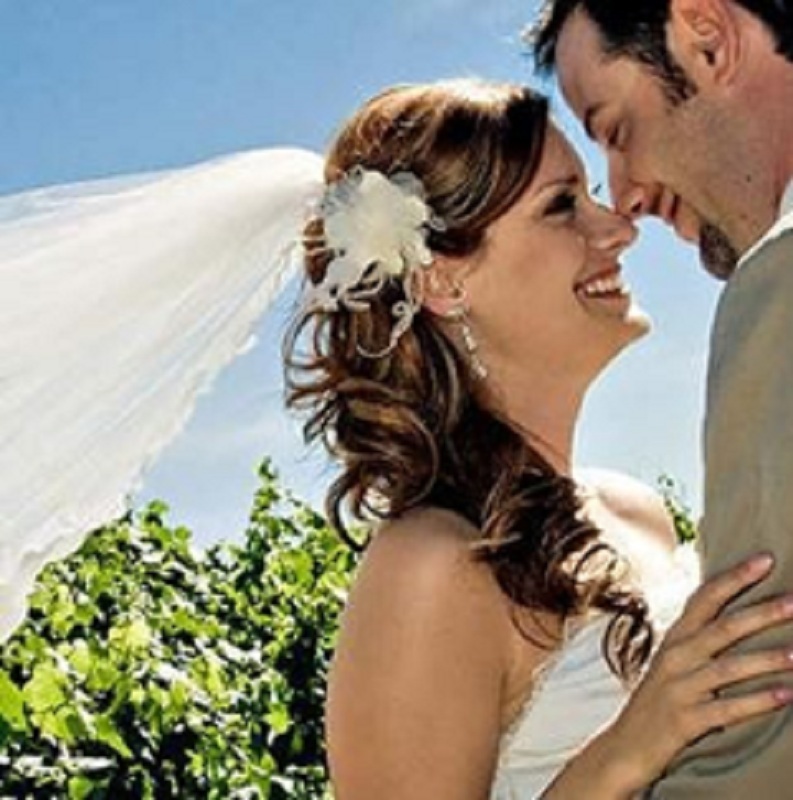 her too short hair was perfect for the big day. It wasn't even that expensive, those clip on types. I love the look of the reception house. I think it's perfect. Hahahah I love you. The reception hall looks fantastic!!! Homemade mints are such a great and personal touch! Love that mug, too funny! I also love the “SHMILY” game, it's too sweet!! I think it would be fine to freeze the mints. I personally like when the hair doesn't match…it adds some uniqueness to the pics. I hate not being able to sleep… SOOO miserable. I write blog posts in my head too. Hah! Random comment: I totally remember you posting the flag toes on some WB board. So cute.